Roughly 3 million people are injured annually in car accidents across the U.S. Meanwhile, there are approximately 800,000 bankruptcies filed every year, according to the Administrative Office of the U.S. Courts. In some instances, people who cause car accidents soon thereafter file for Chapter 7 bankruptcy. Except in cases of drunk driving injuries, a Chapter 7 bankruptcy can effectively releasing a negligent driver from the obligation to pay for personal injuries they caused prior to the bankruptcy filing. However, as a recent case weighed by the Alabama Supreme Court illustrates, that does not mean injured crash victims are without options. Although this is an out-of-state case, there is the potential for similar cases to arise in Florida, and justices are known to look to sister court rulings when weighing similar legal issues. According to court records, a husband and wife (plaintiffs) were injured when their vehicle was rear-ended by a vehicle driven by defendant driver. Plaintiffs sued defendant, alleging her negligence caused the crash and their injuries. Their complaint also named their own auto insurer, as they sought to recover underinsured motorist (UIM) benefits. 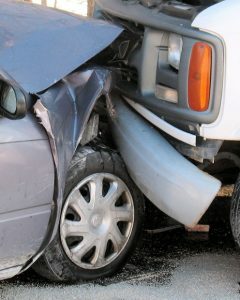 Plaintiff suffered significant and permanent loss of an important bodily function in the crash. Because many at-fault drivers don’t carry more than the minimum liability coverage, it’s often necessary for plaintiffs to seek UIM benefits from their own insurer as well. In this case, after the claim was filed, defendant driver notified the court she had initiated bankruptcy proceedings and that, because the injury case was founded on a claim that a bankruptcy discharge would release, the case should be dismissed. It was true plaintiffs couldn’t collect directly from defendant with a Chapter 7 bankruptcy discharge. However, plaintiff’s UIM insurer then sought summary judgment in its favor, arguing plaintiffs could only recover UIM benefits if plaintiff was legally entitled to recover damages from the tortfeasor (at-fault driver). Insurer argued that because the bankruptcy filing would end defendant’s legal obligation to pay any judgment recovered by plaintiffs, the insurer was not legally obligated to pay either, as a matter of law. While the trial court agreed, the state supreme court reversed. The court held that an injunction against moving forward with an injury claim with a debtor in a Chapter 7 “in now way extends (to plaintiffs’) own insurer.” Although defendant might not be compelled to pay damages, even if the court ruled plaintiff was legally entitled to recover from her, it did not relieve her of legal liability for harm. Because she could still be held liable, the UIM insurer could still be made to pay – even if defendant driver could not. Having an experienced personal injury attorney handling your Tampa car accident case is important because insurers are almost always looking for ways to minimize their payout. A skilled, dedicated injury lawyer can help overcome these challenges to your damage recovery.